So, on Super Bowl Sunday I bought a ridiculous amount of activities and clip art. 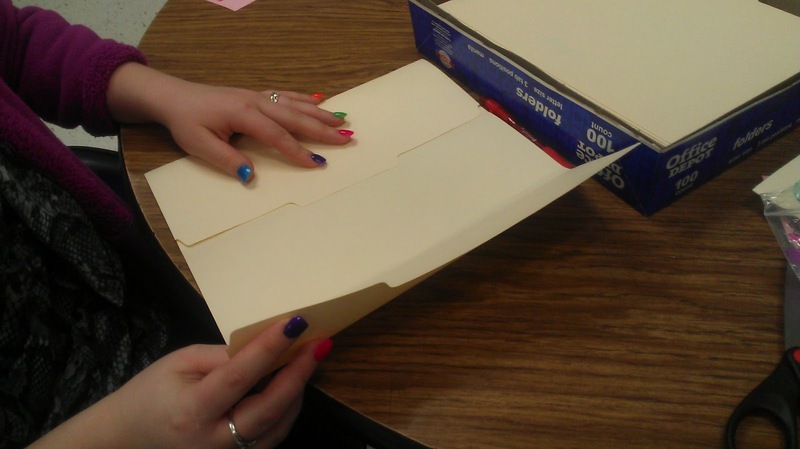 One of the goodies I came across was the idea of a lapbook – a fun resource book made from a file folder and full of amazing foldables on various topics. 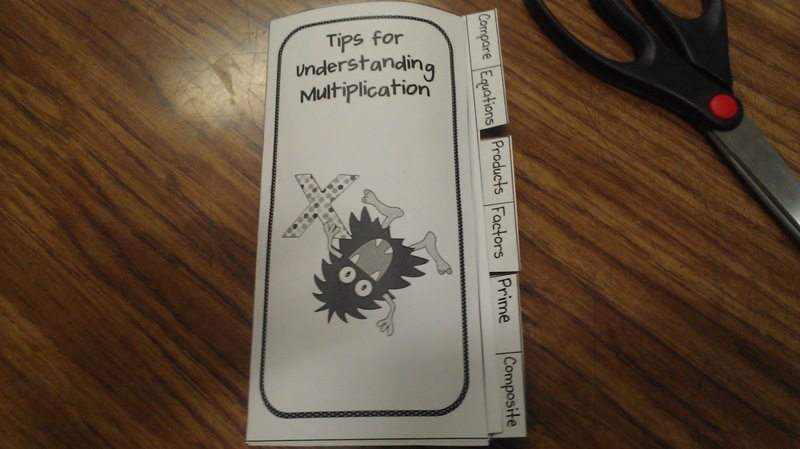 Elizabeth Supan from Fun in Room 4B has quite a few fun lap books – fractions, multiplication, division, even some for ELA and testing strategy ideas! 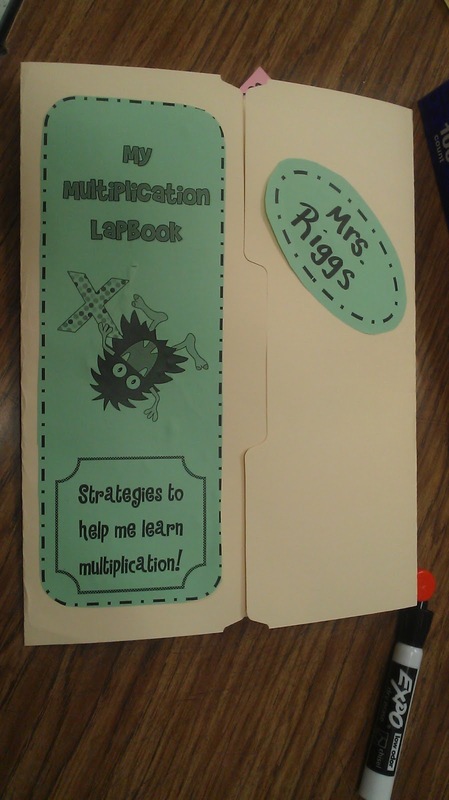 As multiplication has been a major focus in resource lately, I chose the Multiplication Lapbook. As this was a rather new concept to me, I had to take the time to work through the project on my own before trying to teach it to my kiddos. As I made all the foldables, I decided that this was not an activity that I wanted to do with the whole group at once – following directions is not exactly a strong suit of resource kiddos. So…. I decided to continue the idea of Sweet Rewards with my kiddos and pull a small group of 4 back to the table to work with me. My 7th and 8th graders are pretty strong with their multiplication skills, so I only pulled back 2 or 3 students who needed the help. However, for my 5th and 6th graders, each student will be making the lapbook. It took 1.5 classes (about 60 minutes) to create the lapbooks with each of my grades. This was definitely time well spent. Sometime later this week, once we have all the cutting, gluing and decorating, we will be able to delve into the concepts, add our own artwork to help us with the vocabulary and work together in large group again. Start with a normal file folder. Open it so that it lies flat. Fold the left side into the middle, rinse and repeat with the right side. Cut out title/cover page and name emblem. Glue pieces to the front flaps. 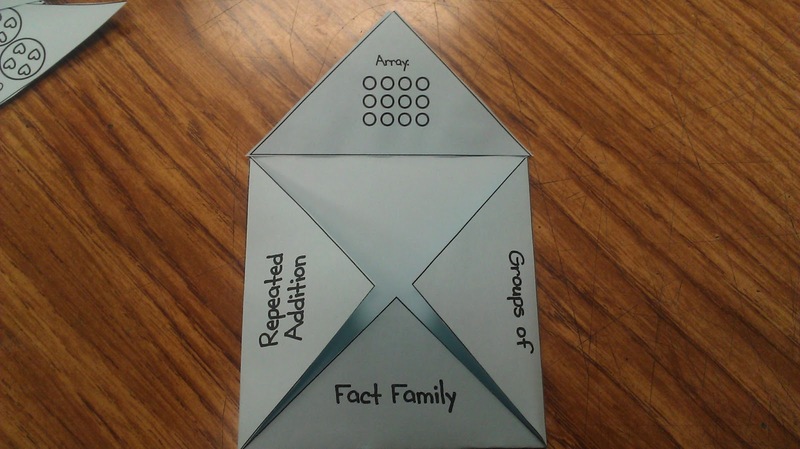 Create 6-door foldable that helps students understand how to FACTOR. 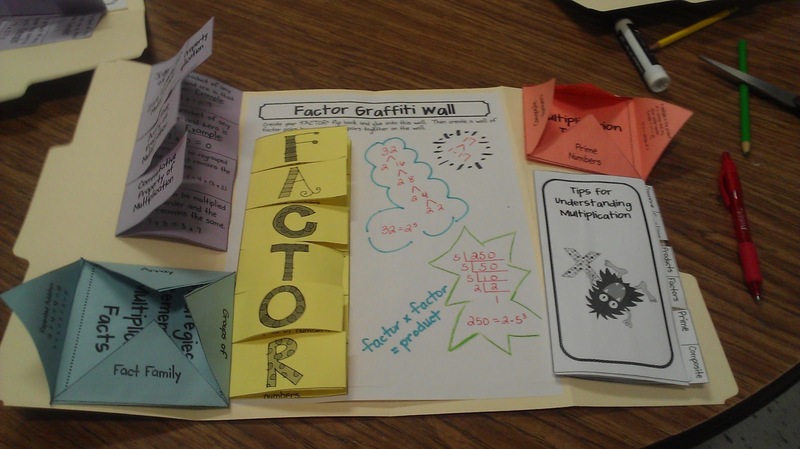 Glue your FACTOR foldable on the graffiti wall. I told the kiddos they could glue the foldable anywhere on the wall as long as the foldable 1)stayed on the white paper and 2) didn’t cover any words on the page. 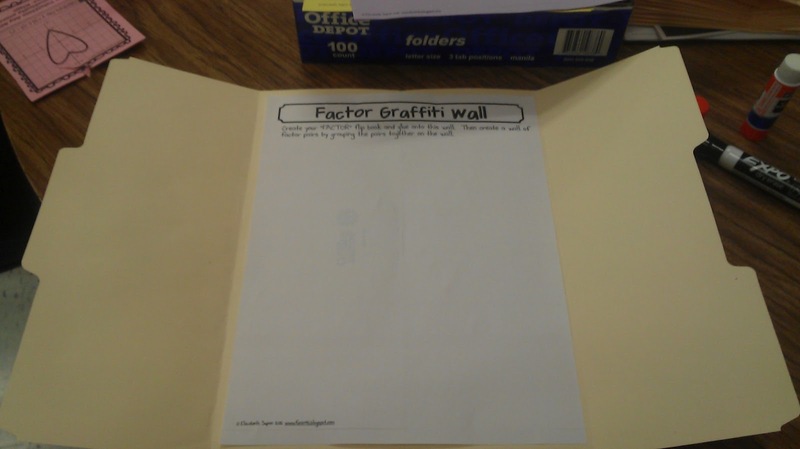 As the kiddos were creating their foldables, I started decorating my graffiti wall. 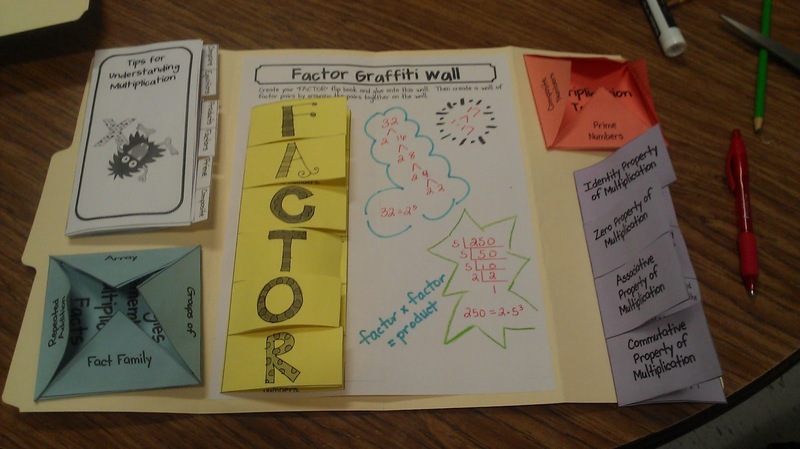 I haven’t let the kids decorate theirs yet as I want to have a mini-lesson on factoring first and don’t want any misconceptions written on the page. 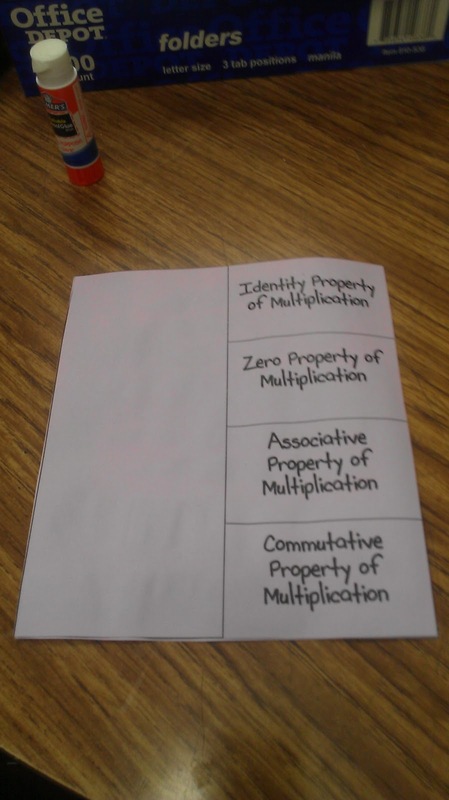 Next, I had the kiddos create the multiplication properties foldable because it was so similar to the Factor foldable. Here you can see the inside and outside of the foldable. 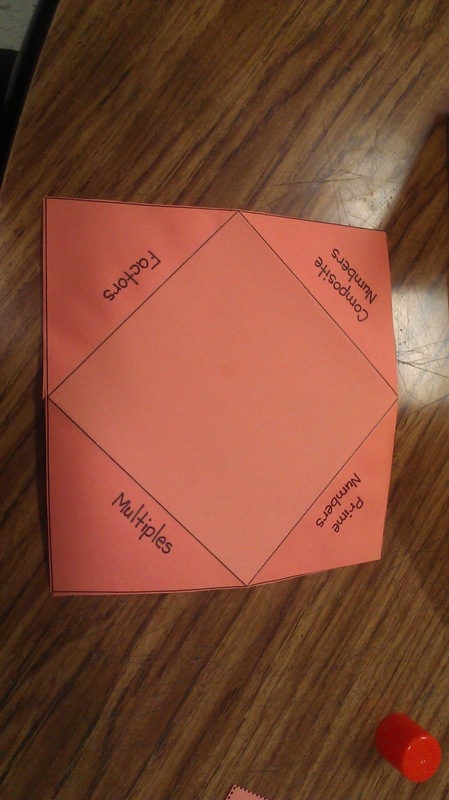 Next we moved on to the square “cootie catcher-esque” foldable. This one was pretty easy. Cut out the large square, the smaller square and the 4 corresponding triangles. 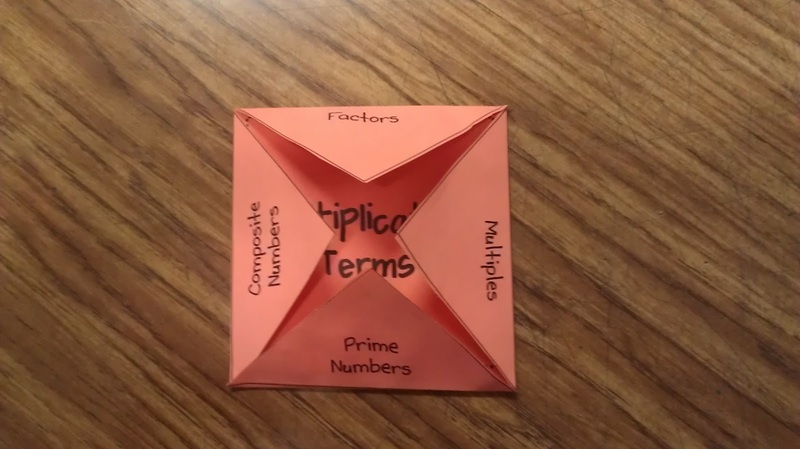 The trickiest part for students (and it wasn’t really that tricky) was paying attention to make sure the word on the outside matched the description on the inside. 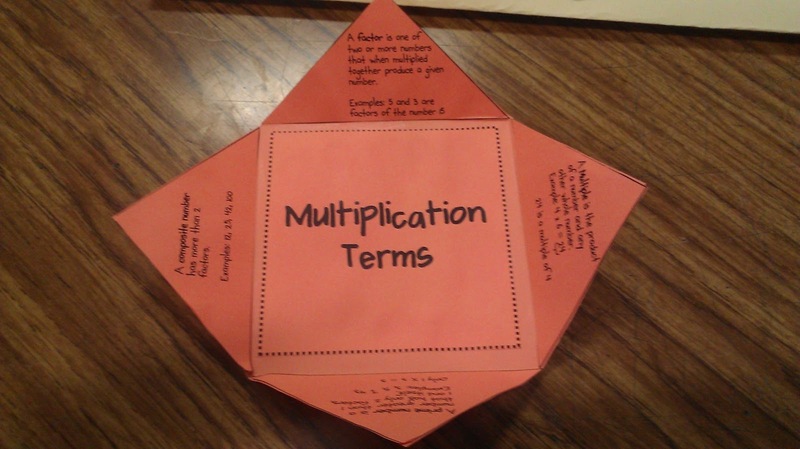 This is what the finished foldable looked like. 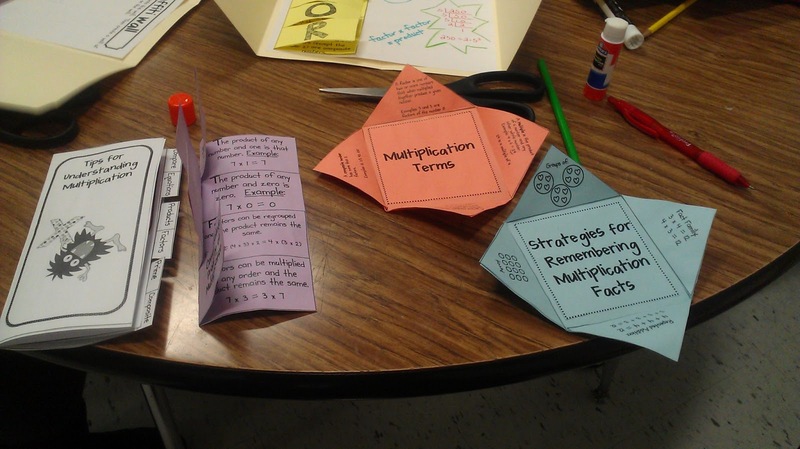 Rinse and repeat to make the strategies foldable. 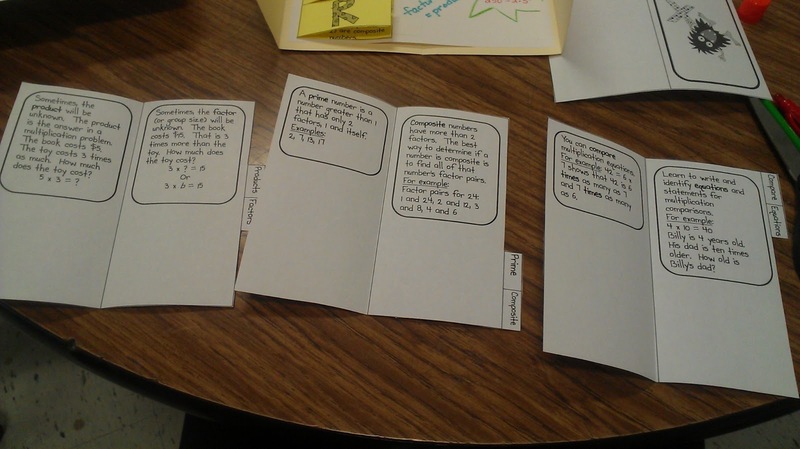 The finished foldable is a cute book with tabs in it. 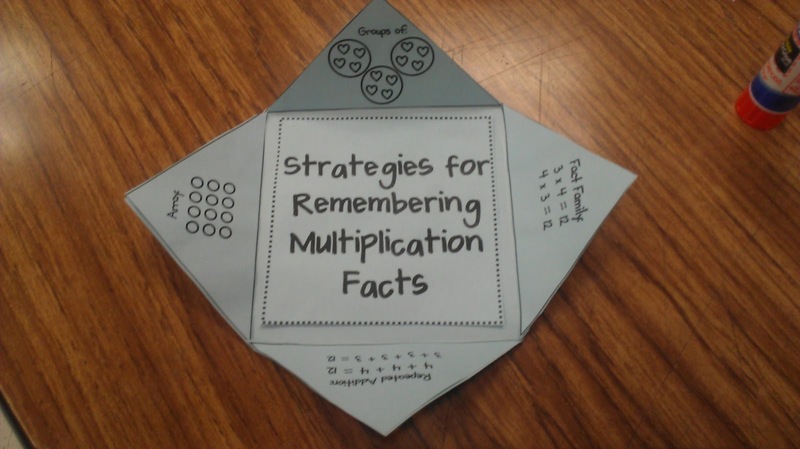 Each tab takes you to a different section with fun tips to help with multiplication. At this point, we had all the components for out book and it was just a matter of deciding what we wanted our lap books to look like. Because I wanted the kiddos to customize their books to look different from others, but I still wanted to be able to easily identify that parts (oh and I don’t have a color printer!) 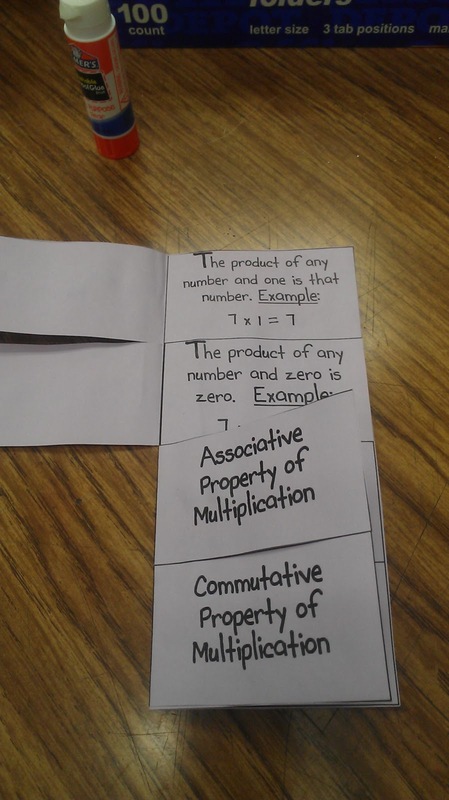 I put each foldable on a different color sheet of paper. Now kiddos can place their components anywhere on the lapbook flaps and we can still easily look at “the orange foldable” or the “purple tab book”. The final lay out for Mrs. R’s lapbook. All glued down and ready for action! 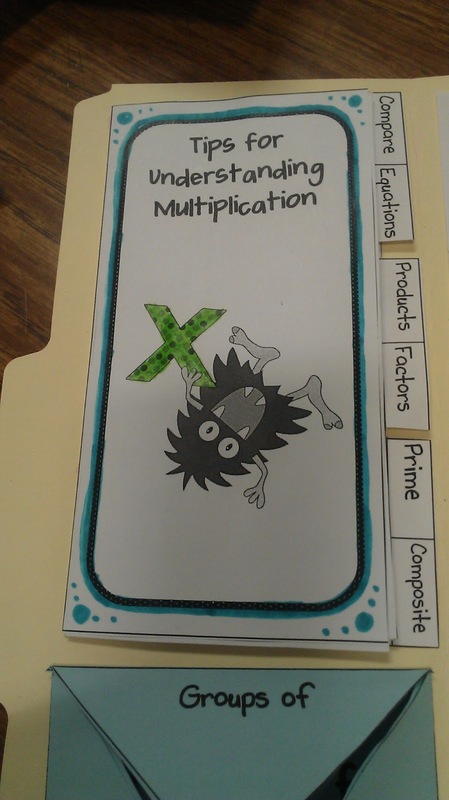 I had to add in some color because this book was too plain… I accidentally used all the other colors on the foldables and didn’t have enough green to make the 4 pages for each student! Oops on my part! Another thing I didn’t realize (because, like my students, I chose not to read the instructions first!! shame…shame!) was that I had printed the shorter version of the booklet on pink. This item is put in the book as a paper saver! I definitely didn’t save paper because I printed both (again, shame…shame on me). So, I ended up cutting out the pink pages and gluing them into the book over the originals to add another pop of color. Phew, what an awesome creation we made! I can’t wait until later next week when they are all made. 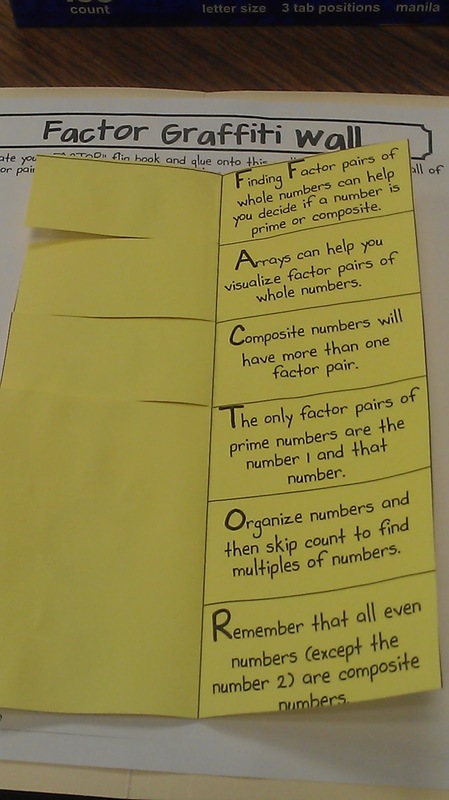 Then, as a class, we can go back, add in notes to ourselves and turn this already amazing resource into an even more powerful and personalized one! In case you missed the links above… here they are again – take some time to check out her wonderful products! Also, as a complete sidenote – parents/teachers/babysitters/peopleoftheworld – please, Please, PLEASE teacher your kiddos how to use scissors to cut and do it often! I am always so surprised when I have 7th graders who don’t know how to cut with scissors properly! 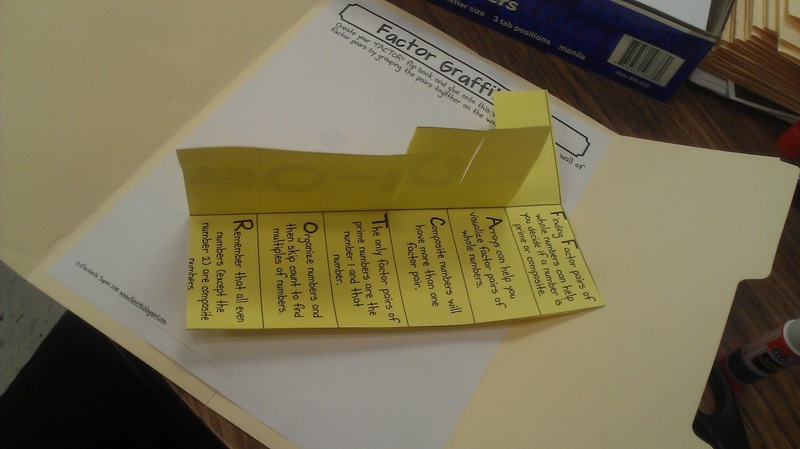 I actually had to make papers with wavy lines on them to have some 6th and 7th graders practice their cutting skills before allowing them to cut the foldables. 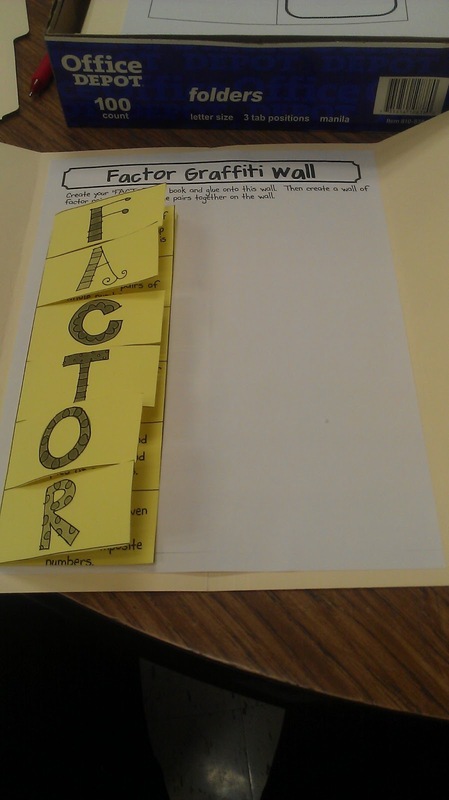 Those students each made the FACTOR foldable and were so frustrated with how it looked that the scissor mini lesson came in handy – YIKES!! Next time my 3 year old nephew visits, we’re learning how to cut paper!! 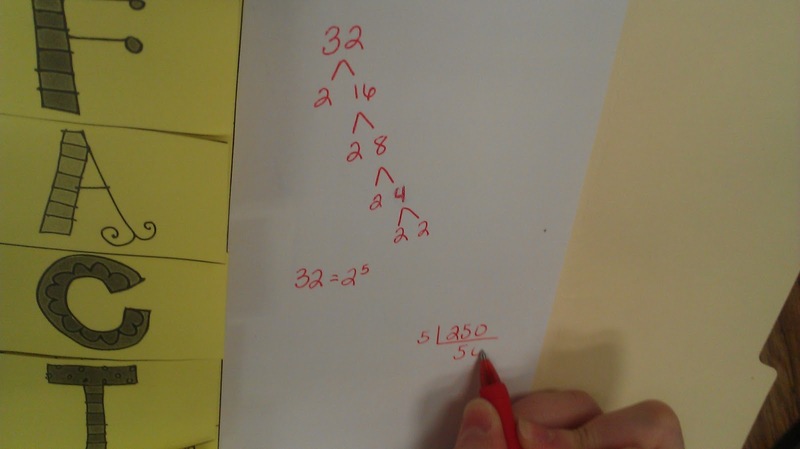 Categories: computation and estimation, hands-on math, and mathematical engagement. I loved reading about your take on the lapbook! 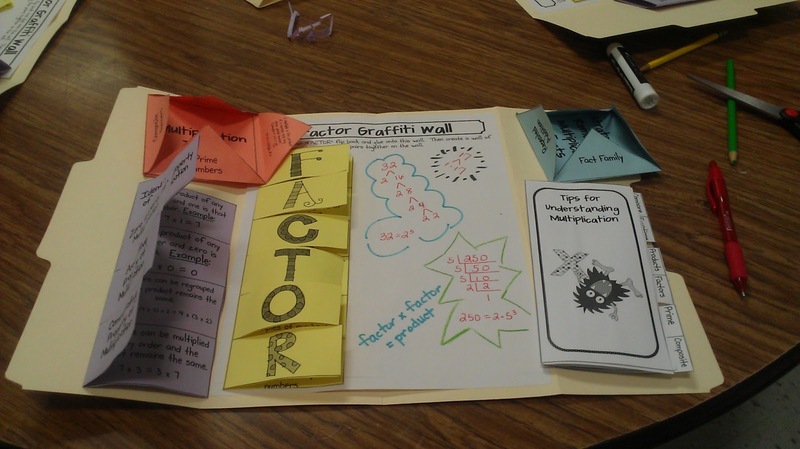 That’s what I love about lapbooks…students can be creative and still have all of the concepts at their fingertips. Thank you for showcasing my product. 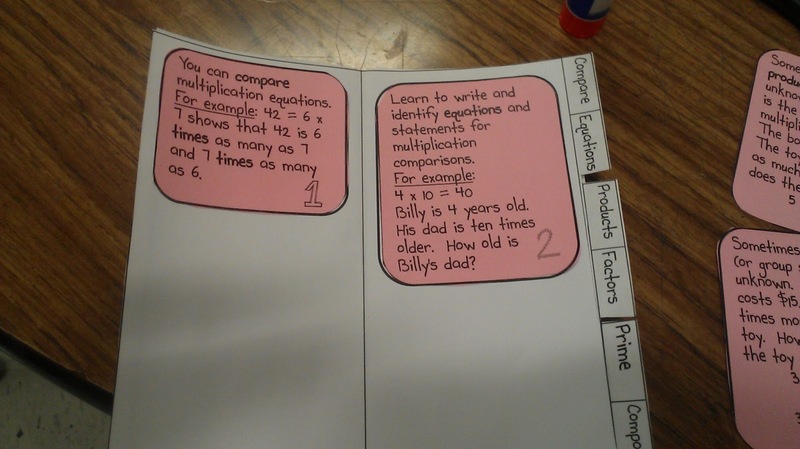 Your kiddos now have a great tool to reference that is “their own”. Love your blog and I love this post! 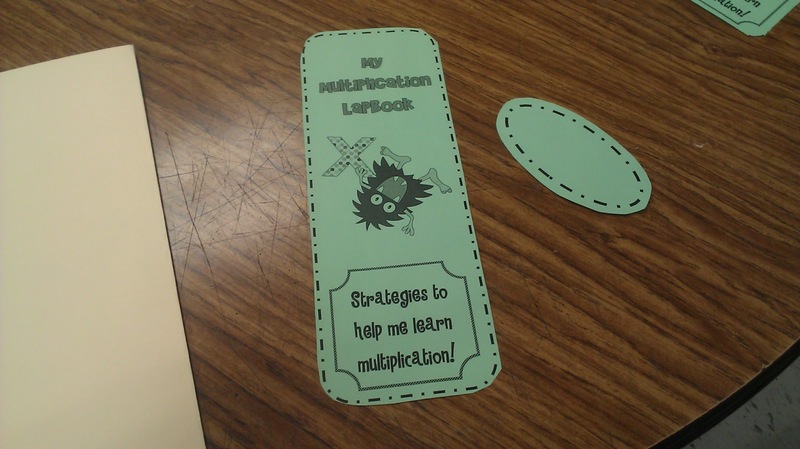 My 6th grade math class just made a lap book a couple of weeks ago, and they loved it! 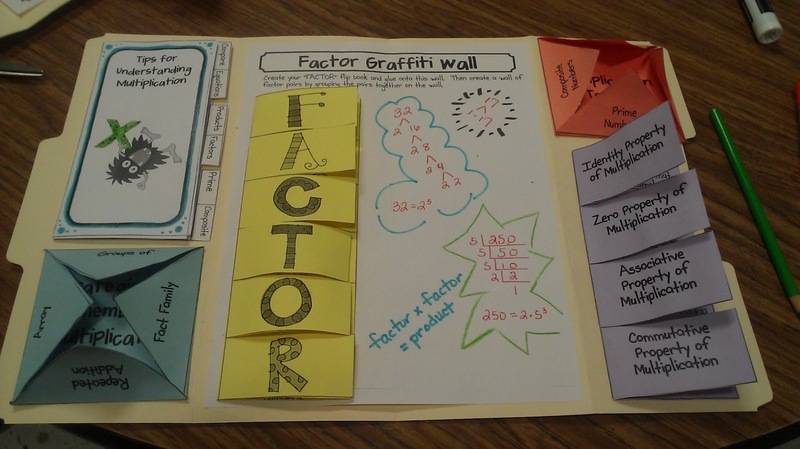 Such a great creative way to get kids engaged and excited about learning! I really need to go purchase this… This is fantastic!